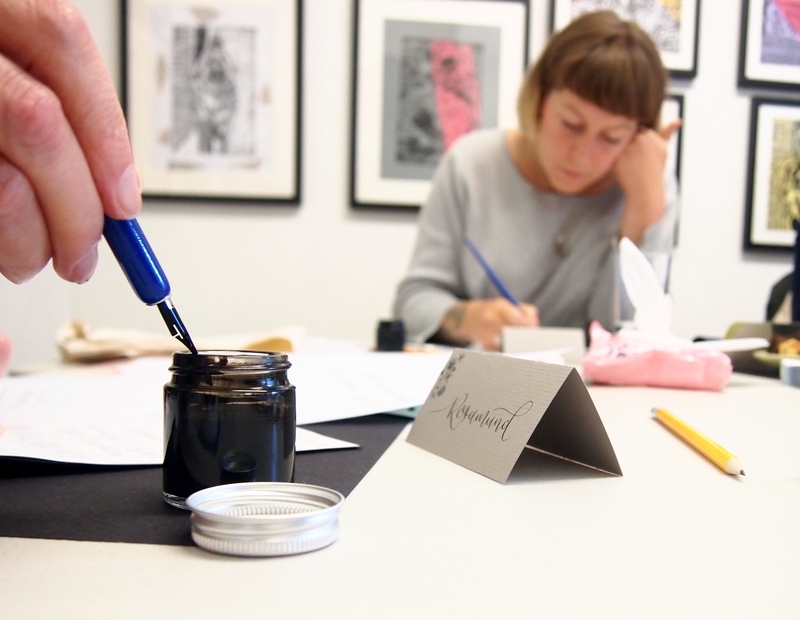 Spend two and a half hours getting to know the art of pointed pen and ink calligraphy in a small group. You will begin by learning how to make the basic strokes and shapes with a pointed pen and move on to letterforms before looking at how to create your own hand lettering style for you to use in any number of calligraphy projects. Perfect if you’re getting married, want to learn a new creative skill or just want to be able to put personal, hand-made touches to gifts.